This room in the renovated Pack House overlooks the lakes and opens directly onto the brick breezeway with its working fireplace. It is a mix of the sun-drenched colors of Mexico with its tile kitchen and bath and woven Peruvian calendar. 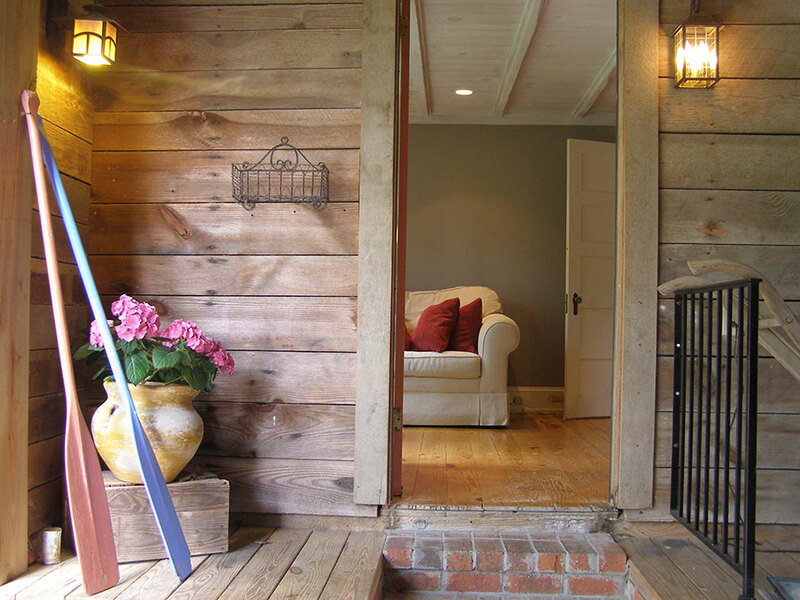 Original pine floors and hand-hewn ceiling beams of old pine remain in this room that was once used to store corn. 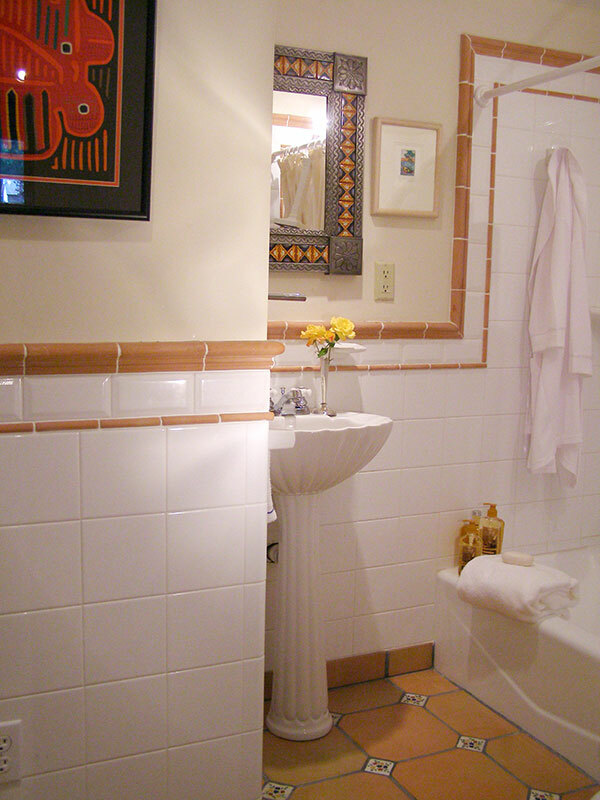 The Saltillo tile bath floor is decorated with small Mexican tiles the owner collected on a trip to Mexico many years ago. Lose yourself in the comfort of the overstuffed love seat as you settle in to the North Carolina quiet. The Corn Crib is totally self-contained with a full kitchen, full bath with tub and queen bed. 5% Frequent Stay Reward for our loyal guests. Or call 252-792-8787 for immediate, confirmed reservations during normal business hours.